If you want tips from the top in rugby union, then you can’t go much higher than double British & Irish Lions captain Sam Warburton. 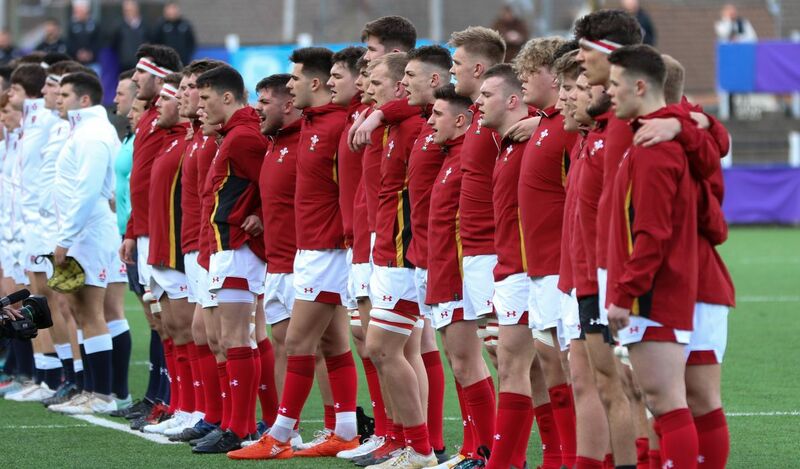 So when the cream of rugby’s young talent from across the Six Nations sit down together at a special welcome dinner on Sunday to celebrate the launch of the inaugural Under 18 Six Nations Festival in Wales, they will learn what it takes to turn teenage promise into world class performances for their country. The man who led the Lions to a first series win in 16 years in Australia in 2013, and then captained them to a drawn series in New Zealand last year, along with fellow Wales and Lions teammates Jonathan Davies and Alun Wyn Jones who have also come through the age grade ranks, will give some precious insight to the young players following the first round of matches on Saturday. The Cardiff Blues and Wales flanker has never forgotten his days playing against many of the players he went on to lock horns with for club and country when he was playing for Wales at Under 18 level back in 2006. Current Wales Women’s head coach Rowland Phillips was the first man to hand Warburton the captain’s arm band at any level of rugby in the Home Nations Under 18 tournament that year. From there he went on to lead Wales into the Under 19 and Under 20 World Cups in the following two seasons before winning the first of his 74 Welsh caps in 2009, 49 of which he has been captain. “What these young players have to realise is they are a lot closer to senior rugby than they think. You think you’re still young, and you have a long way to go, but these days that isn’t always the case,” said Warburton. “People always point out the obvious things like ‘enjoy it’ and ‘train hard’, but my main advice to anyone who seriously wants to become a professional rugby player is that it’s got to become your lifestyle. “It’s not just about four or five hours training, it is all about eating, sleeping and training properly and making the most of your recovery days. Many of these players are already role models at their schools and in their local communities – to be a good professional you’ve got to get into good habits at a young age. “I knew I had the athletic ability, although looking around my squads at the time I knew that wasn’t going to be enough. “I thought I had a stronger mind-set than many of the other boys of my age, and I was determined not to let anything get in my way to make it to the top. When I progressed to Wales U19, I played with the likes of Dan Biggar, Leigh Halfpenny, Rhys Webb and Jonathan Davies and it was quite clear even back then that those guys had a professional attitude and if you had to guess you’d have picked those as the ones who would go all the way. Warburton was one of a number of players Rowland Phillips gave captaincy experience to at under 18 level that season, including Luke Ford and Jevon Groves, who led the Wales Sevens team at the 2010 Commonwealth Games, but the former Whitchurch High pupil says he wasn’t an obvious leader at that stage. “Rowland Phillips was the first coach, and that includes my school coaches, to give me a captaincy role in that tournament in 2006. I was terrified,” admitted Warburton. “I remember it was the first time I’d had to address a group in public and, to be honest, I wasn’t looking forward to it. I was always really quiet growing up, and my school teachers knew what I was like as a character, which is probably why I hadn’t been captain before, but I thought it would be good for me to put on my Blues Academy rugby CV. “I’d been sin-binned in the first game against Scotland and I was in tears at the end of the game when I spoke to Rowland because I felt I’d let the team down. We won by a point, but I was devastated. “We then beat Ireland and I was asked to be captain against England. I didn’t enjoy that first captaincy experience, but I was glad I did it despite losing the game – I was glad I accepted the challenge and it was a great honour. “I did kind of enjoy the extra pressure that came with being captain and felt I played better as a result. Rowland must have seen that in some way. “I’d only played against England and Italy at Under 16 level and it was a thrill to face Ireland, Scotland and France at Under 18 level. We played France before that Four Nations tournament and I came up against Mathieu Bastaraeud for the first time. “I texted my twin brother, Ben, afterwards to say ‘I’ve just played against the next Jonah Lomu’. He was the same size then as he is now and he ripped us apart! Tickets for each matchday are £5 adults, U16s go free (maximum 2 free tickets per paying adult). Tickets for matchday 1 are on sale now at Ystrad Mynach CSE and by calling 01443 864767. Tickets for Matchdays 2 and 3 will only be available on the gate on matchday.